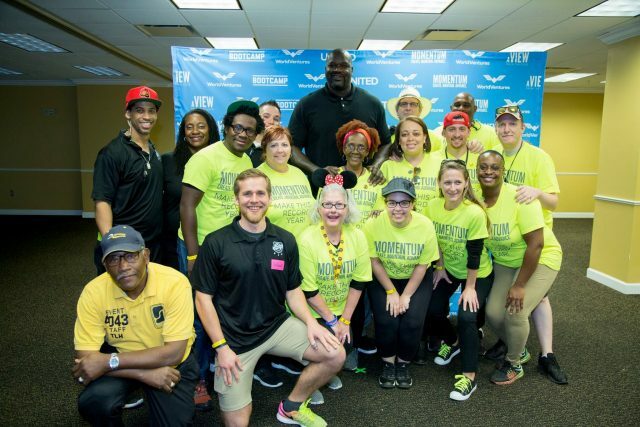 World Ventures Momentum Orlando attendees had a chance to Meet & Greet Shaq. February 7, 2018 — WorldVentures™, the leading direct seller of global travel and leisure club memberships, drew exceptional attendance at Momentum, a national training event in Orlando, Florida, from January 26 to 28, 2018. Momentum brings WorldVentures Independent Representatives together from countries around the world to build leadership skills and boost team collaboration while celebrating strength and diversity. WorldVentures Foundation, the company’s charity of choice, also plays a part in helping local communities by hosting a Volunteer Day during the event. Volunteer Days allow Reps to give back to local communities by helping underserved children. During Momentum, the foundation’s volunteer group completed a “scrub the club” activity to beautify the space at Walt Disney World® Clubhouse and benefit Boys & Girls Clubs of Central Florida. WorldVentures is a privately held company based in Plano, Texas, that sells travel and lifestyle community memberships providing a diverse set of products and experiences. The company’s goal is to help Independent Representatives, DreamTrips Members and employees achieve more fun, freedom and fulfillment in their lives. WorldVentures uses the direct sales model to go to market with active Representatives and members worldwide. For more information, visit worldventures.com.